In cases where your Brother laser printer, all-in-one printer or fax machine stops functioning, the first thing to look for is an error message on the LCD display. Generally, an error message or error status code will appear. Implementing most error solutions are best left to professionals. Some Brother printer repairs can be done yourself. Click Start > Control Panel > Control Panel Home (on the left) > System & Maintenance (on the top). Brother Printers are world-class machines featuring the latest technilogical innovations. That means that many repairs may be too complex to be handled by the layperson. 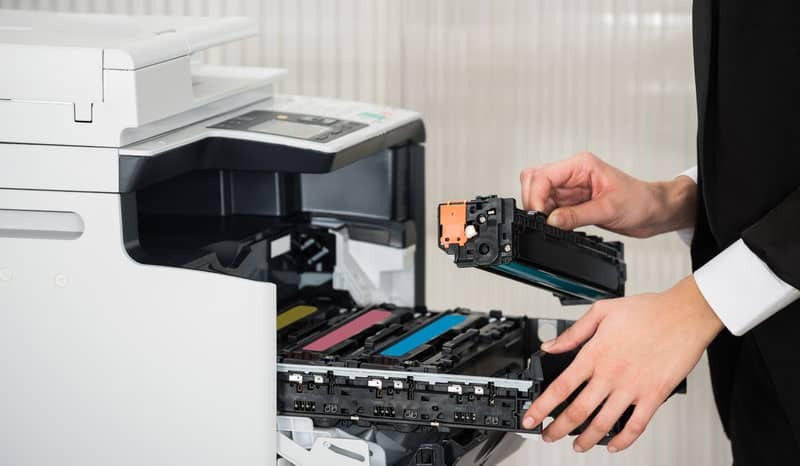 Global Office Machines offers full printer repair service on all Brother models, serving the greater Sydney area with a fleet of mobile service vans manned by certified printer repair technicians. Because we specialise in both printer repairs and sales, buying from GOM means that technicians will help set up your machine and walk you through basic troubleshooting steps that you can handle in-house. Common repairs that we can teach you to do yourself include replacing a tray feed kit; replacing a waste toner box; clearing a paper jam in a duplex unit. Error Code 5E: The belt unit needs to be replaced. Click to learn more about our Brother printer repair services. If you’re interested in purchasing a Brother printer for your home or office, browse our top-selling products below or see all Brother products in our store.